Four videos worth of 52 minutes teaching material + 70 Groove variations on a downloadable PDF. Starting with the most basic groove for absolute beginners in Lesson 1, which will give you a good foundation for the all the grooves in Lesson 2, where we cover 8th and 16th note grooves. In Lesson 3 we’re going to add 16th notes on the snare and the bass drum, moving on to Lesson 4 where I’m showing you how to add some more dynamics to your grooves, by adding Ghost Notes and accenting the Hi-hat/Ride with the use of the Moeller whipping motion. Four videos worth of 52 minutes teaching material + 70 Groove variations on a downloadable PDF. Starting with the most basic groove for absolute beginners in Lesson 1, which will give you a good foundation for the all the grooves in Lesson 2, where we cover 8th and 16th note grooves. 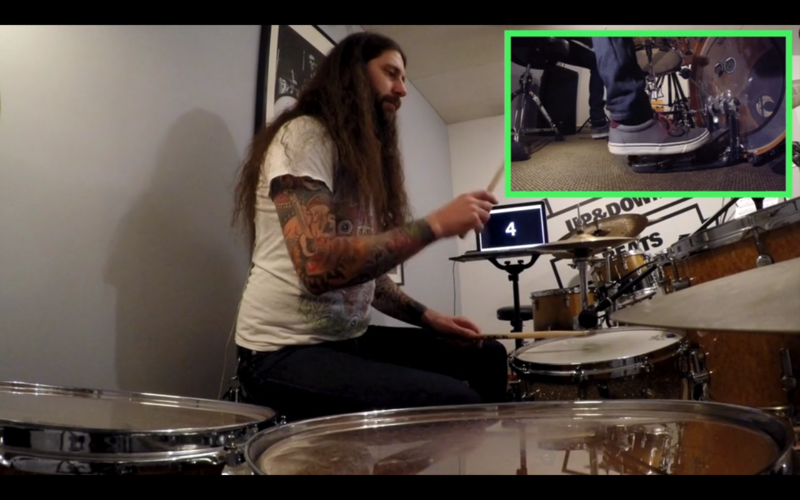 In Lesson 3 we're going to add 16th notes on the snare and the bass drum, moving on to Lesson 4 where I'm showing you how to add some more dynamics to your grooves, by adding Ghost Notes and accenting the HI-hat/Ride with the use of the Moeller whipping motion. These 4 videos will give you a great foundation for your independence. The first video is about posture and balance, which is the most important part when playing drums. I also explain how to set up your drums in an ergonomic way. In lessons 1-3 I will guide you through some basic independence exercises that will help you to become more comfortable at the drums. These exercises are the foundation for good posture and balance while playing.